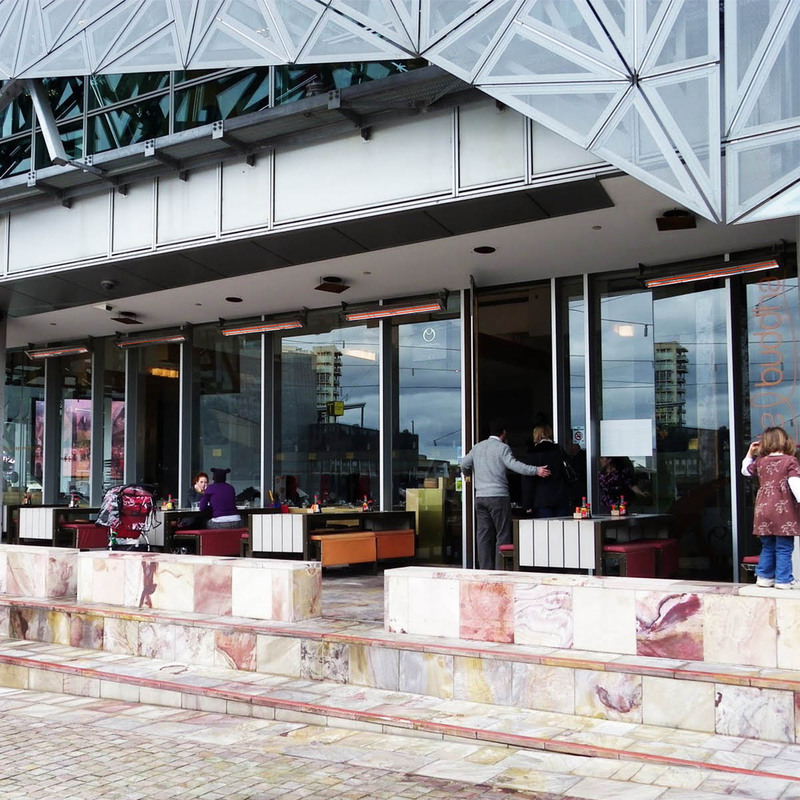 Located in Federation Square, Melbourne, the Chocolate Buddha is a renowned eatery right in the heart of Melbourne’s CBD at Federation Square. It has been named one of the top 50 restaurants in Australia for 2017 by OpenTable diners. The awards are based on more than 70,000 reviews submitted in the last year by verified OpenTable diners at more than 1,500 restaurants across Australia. You will be sitting overlooking a stunning view of the Melbourne skyline that stretches along the Yarra river. Chocolate Buddha promotes the age-old Japanese tradition of communal dining. It boasts an extensive menu which is primarily Japanese accompanied by some Korean and Chinese influences. They also cater for vegetarian and gluten-free requests. For those looking for a lunchtime dine and dash they offer a $20 lunch tray consisting of 6 different tastings. For an extra $10 you can include a beverage and dessert. Should you have a little more time you can choose from the small dishes to start of share menu. Perhaps maybe something from the sushi and sashimi choices and a rice or noodle dish. The dinner menu is more extensive and a more relaxed attitude can be adopted over a couple of drinks perhaps. A children’s menu is available so there is something for the whole family. This is a wonderful way for the kids to experience the diversity of Japanese cuisine and their traditional communal style of dining. If it is a function or dinner party for 8 or more you are looking to host they have a variety of menus to choose from that include all their most popular dishes. It offers both indoor and outdoor dining. To make both areas accessible all year round commercial grade Infratech Heating have been installed. Infratech is one on the industry’s leading panel heating specialist. They pride themselves on innovation, smart design and environmental ethics and have been producing heating products for over 50 years. They use the best quality materials and components that technology allows. Infratech infrared heating delivers 90% efficiency outdoors. It does not lose continuum with the wind or elements, it is directional and produces an incredibly high level of radiant heat, consistently. Infratech heaters do not emit odours or greenhouse gases and are silent in their operation. They also do not require any ventilation.